This is a story of Missing Intelligence -- about a ghost bird. This 1938 black-and-white photo by James Tanner is the last image ever taken of this majestic animal before its extinction, a victim of old-forest habitat destruction. 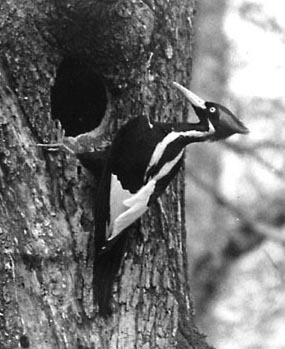 Until 2005, that is -- when Cornell researcher Dr. John Fitzpatrick announced he had re-discovered the bird in the vast, uninhabited swamps of the "Big Woods" of Arkansas. He based his result on the distinctive "two-knock" recordings, and a handful of poorly-documented visual sightings. In the huge media blitz that followed, even the Bush Administration tried to polish its lackluster environmental credentials by promising protection for the bird. Alas -- the hopes of the world would not be fulfilled. In the years that followed, no visitor was even able to produce convincing pictures of the bird, and the original evidence has been called into question. For now, the Ivory-Bill remains a "ghost-bird." All the same, the failed resurrection of the Ivory-billed Woodpecker taught us something important. Americans -- even Republicans -- share a powerful desire to preserve what remains of our original wealth of avian species. We deeply miss the ones that are gone forever, and are determined to protect those habitats that remain -- even if only for ghosts. 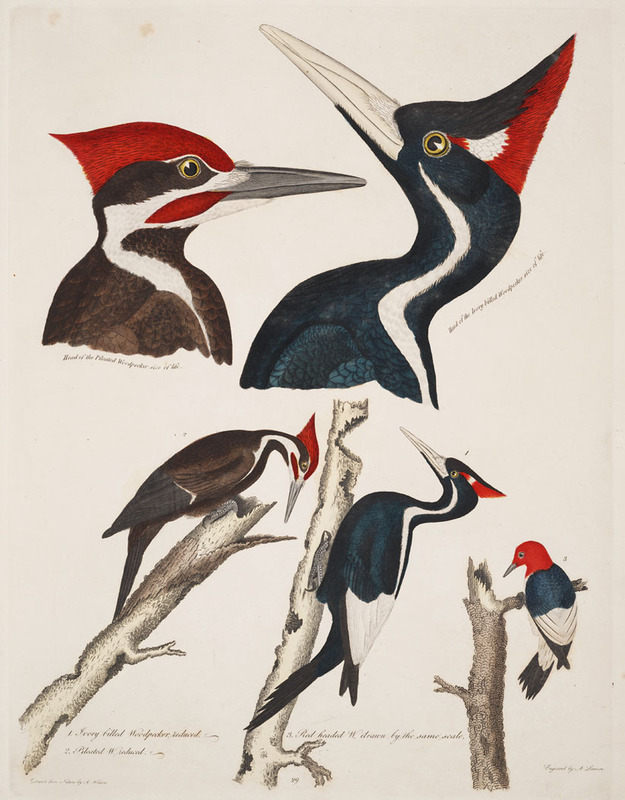 For a facinating personal story of an encounter with an Ivory-Bill, read this excerpt from Alexander Wilson's 1831 book American Ornithology, or The Natural History of Birds in the United States. Or visit our new forum for discussion.